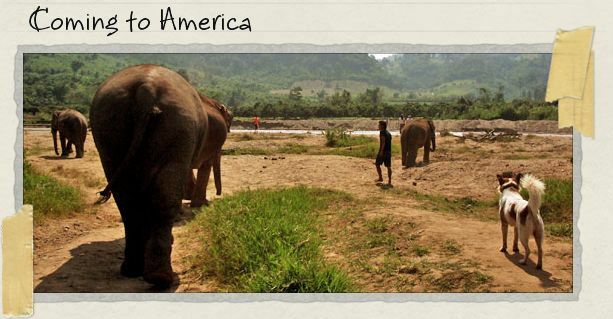 The following are stories written about our travels in Thailand. You can find stories set in other countries by returning to Places We've Been. I have recently come to the realization that I am cursed. No matter how hard I try, I just cannot get my Pad Thai to taste like it did from the street carts in Bangkok. For the rest of my life, I will be forced to pay $1,600 in airfare every time I want to eat proper Pad Thai. In Thailand, expressing negative emotions (such as anger, frustration, or as in our case, panic) is simply not done. No matter how bad a situation is, you have to smile sweetly and stay calm at all costs. Getting visibly upset would be as offensive as if you had started spitting and cursing. Fortunately, we’d spent enough time in Thailand that it was instinctive for us. We stayed calm, and we smiled.